Kindergartens were introduced to scissors and how to use them appropriately and safely in the Art Room. 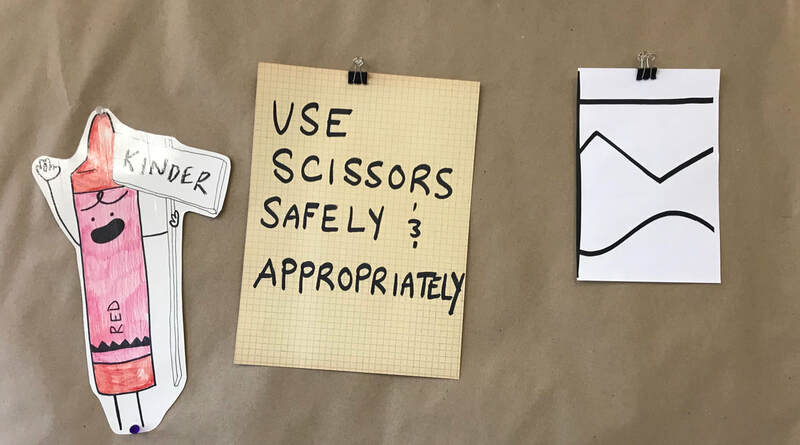 The poster shown on the right is used to help students remember how to hold their scissors! Students practiced cutting a straight, zig zag and curved line to pass their scissors test! Kindergarteners get a chance in the art room to explore a variety of media and learn through exploration and play. Below you will see some of the "Choice Centers" . Sometimes in the art room we will do formal projects and some days the students get a choice in media and subject! Check out some of their choice work below! Students created unique houses inspired by Disney artist Mary Blair. 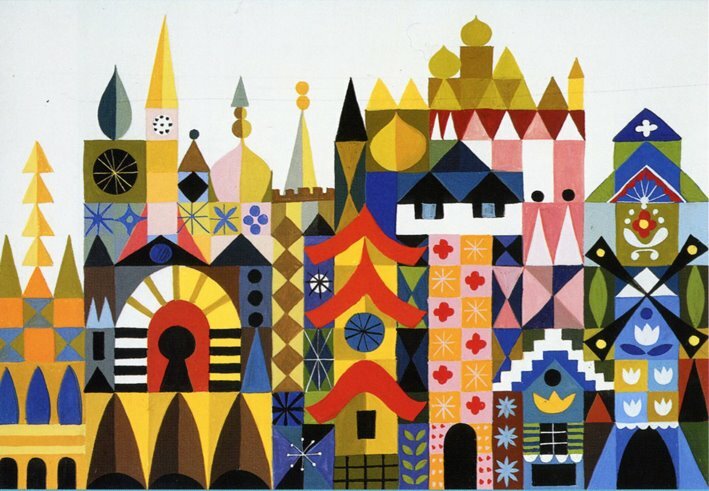 Mary Blair designed the ride It' A Small World and she is well known for her vibrant use of colors. 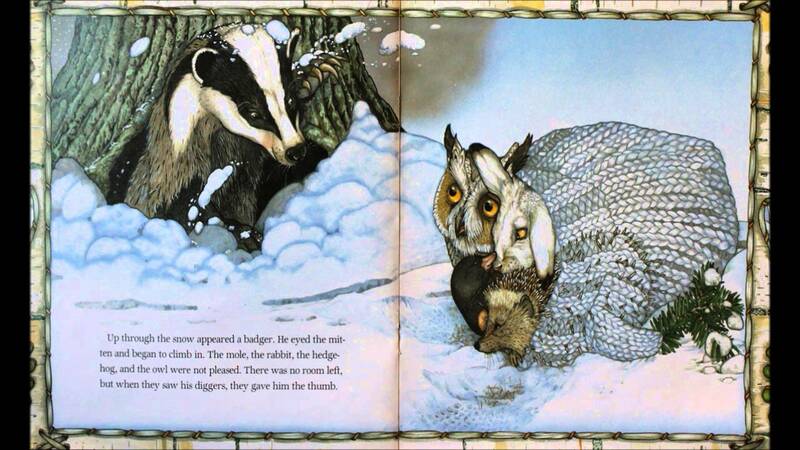 Students created a mixed media collage of a hedgehog in a winter scene. 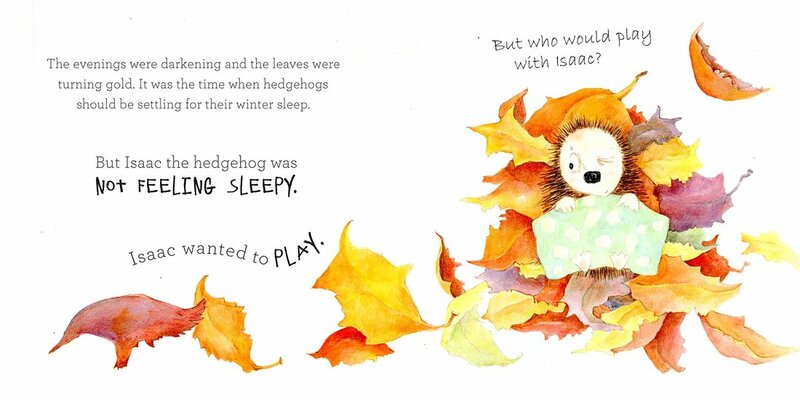 We discussed hibernation and its purpose as well as what animals hibernate like our hedgehogs! Students explored how to create the secondary colors from the three primary colors. This lesson was inspired by the book Mouse Paint. Mary Blair's "It's A Small World"
To get us ready for Winter Break we read "The Mitten" and created our own mittens inspired by the story. Students traced their hands on construction paper and then created patterns on their mittens to make them their own. We talked about symmetry and how what you do to one mitten you have to apply to the other mitten as well to make them match! 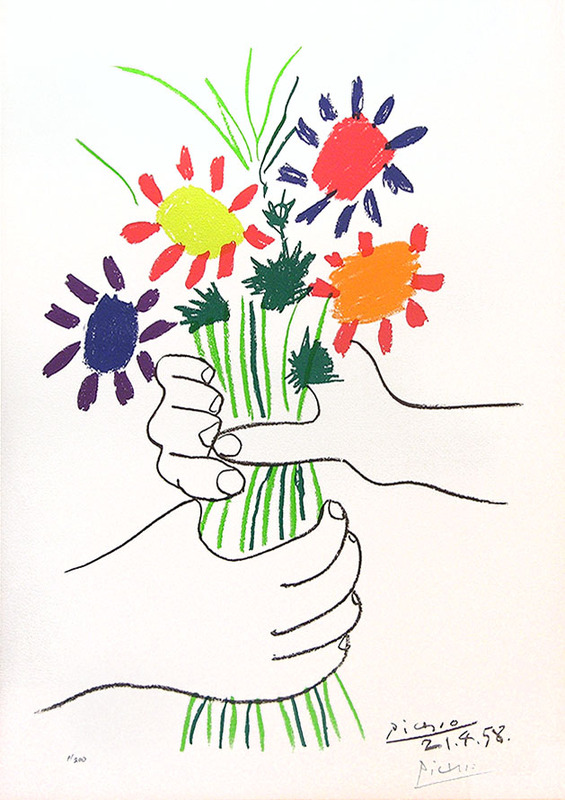 In this lessons Kindergarteners's analyzed Wayne Thiebaud's paintings for unity and variety. Students then made their own donuts inspired by Thiebaud and practiced proper paint mixing procedures. 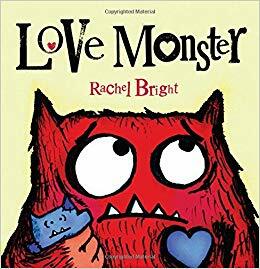 Kindergarteners created their own love monsters for Valentine's Day! 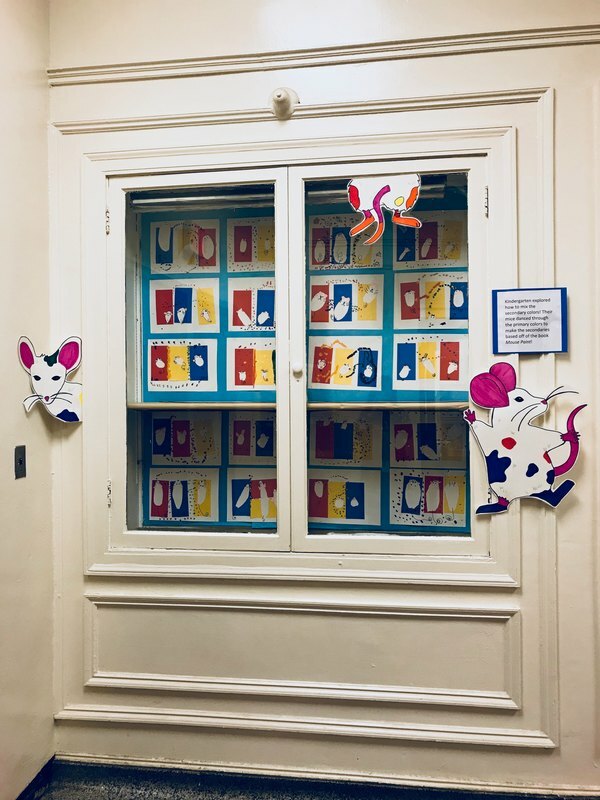 Kindergarteners created their own mixed up chameleons based off of Eric Carle's book. They also learned about the color spectrum and painted their chameleon in rainbow order (ROYGBIV)! Students created daffodils to Spring us into the new season! Through this lesson Kindergarteners learned a new way to attach paper with a "flange" attachment.